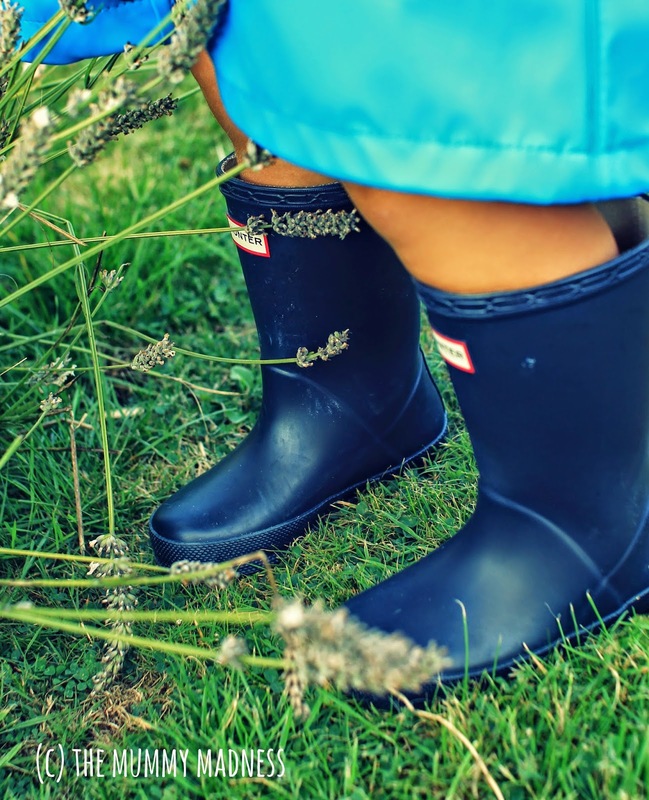 An essential item any busy toddler needs is a raincoat and some welly boots, nothing is more exciting than jumping in a muddy puddle or playing on the beach. Never more are these items more important than in the summer, one minute its glorious sunshine the next a heavy rain pour. I can not seem to get it right at the moment either. 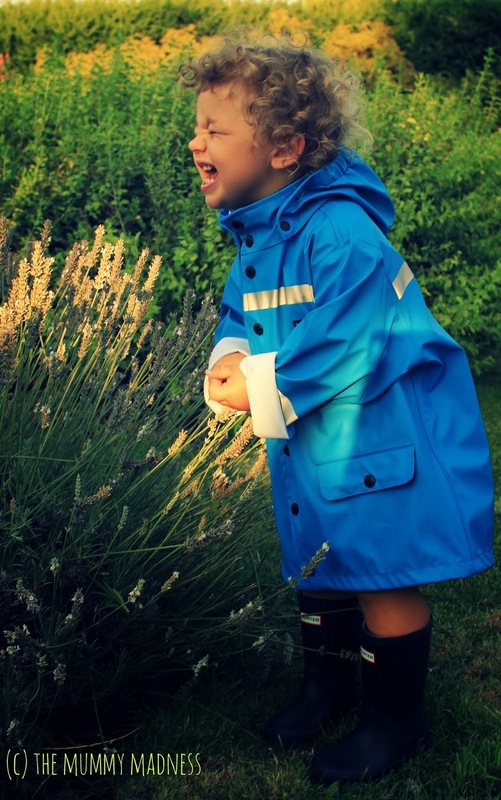 We were privileged to be asked by House of Fraser to pick some items of clothes for the wetter weather. If you havent checked out House of Frasers clothes online you are missing out and with a fab range for boys and girls why not take a look. I decided to go for more nutral colours I am a bit in love with blue as you can see from the wellyboots and raincoat that we decided on. 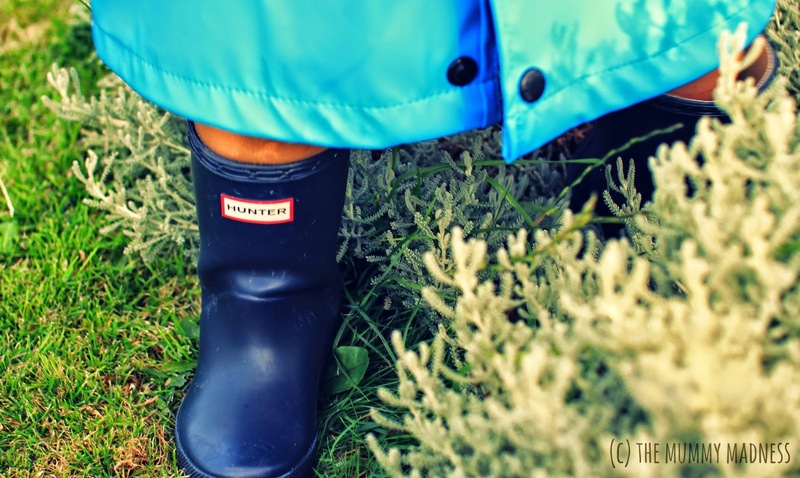 I loved the little hunter wellies and House of Friaser have a massive selection of a verity of colours it took me ages to choose, I went for Navy as it goes with anything. 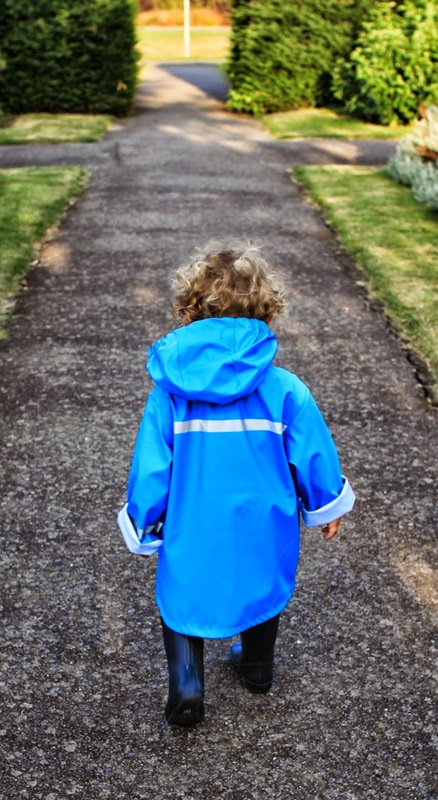 The jacket is Polan O. Pyret which I ordered at age 2-4 and has plenty of growing space. Ami has only just turned 2 and even though she is large for her age I can see this lasting quite a while. Which is such a good thing I would rather pay more money for an item that is good quality and that will last. It has a detachable hood a fleece lining inside. 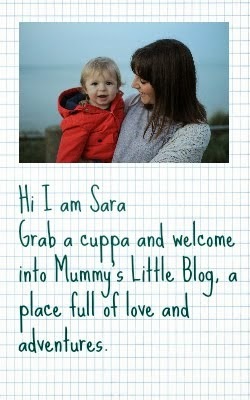 It is very lightweight and fits nicely under a pushchair or in a rucksack. Will be a perfect addition to her new nursery attire (maybe not I like it too much for it to get ruined at nursery). The jacket also consists of visible reflectors on both the front and back for extra safety. The coat retails at £35 which I feel is reasonable for the quality and finish of the coat. The Wellyboots I just need to get a matching pair, when they first came she refused to wear them. She is not a lover of shoes and often is found flinging shoes into hedges and anywhere I can not find them, but for the first time ever I caught her putting these on. I love the style of them they are so cute on chubby little toddler legs. 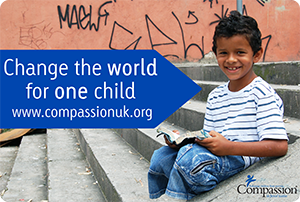 They are made to such a high standard and finish and have an comfy orthopedic last to provide extra strength. Lots of people commented on her boots and have loved the style of them. They retail at £28 which I thought was rather well price for such a well known brand of wellies. We have been blessed with such glorious sunshine lately its always sad to see it go. 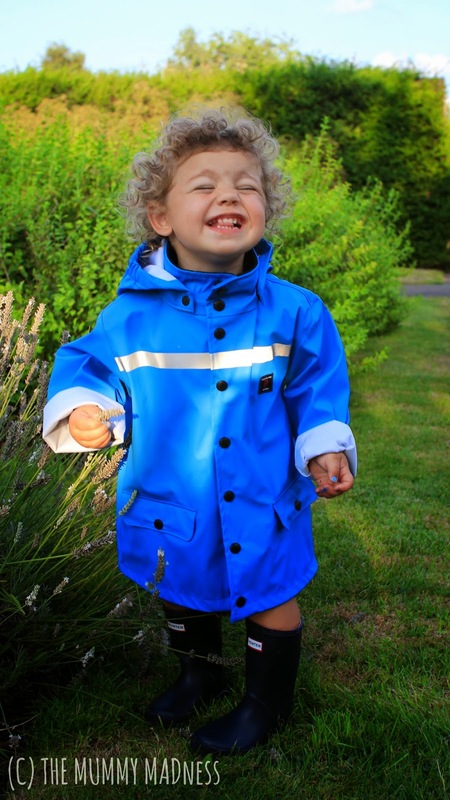 Although Ami is looking forward to heading out in the rain in her new rain gear and splashing in the puddles. 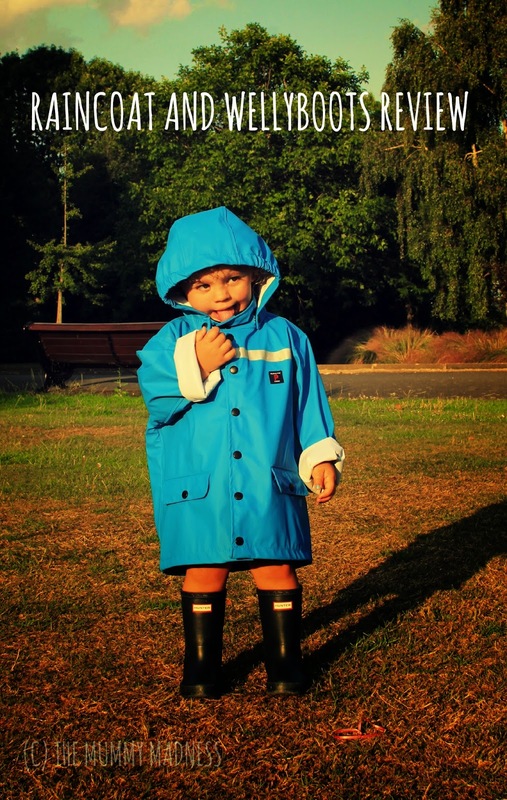 Disclaimer: We were sent the wellyboots and raincoat for the purpose of the review all pictures and writing is my own. She looks fantastic. I so agree that splashing around in the puddles is just super fun! How gorgeous does she look! I'm a big fan of "growing room" so love that her coat is nice and big!